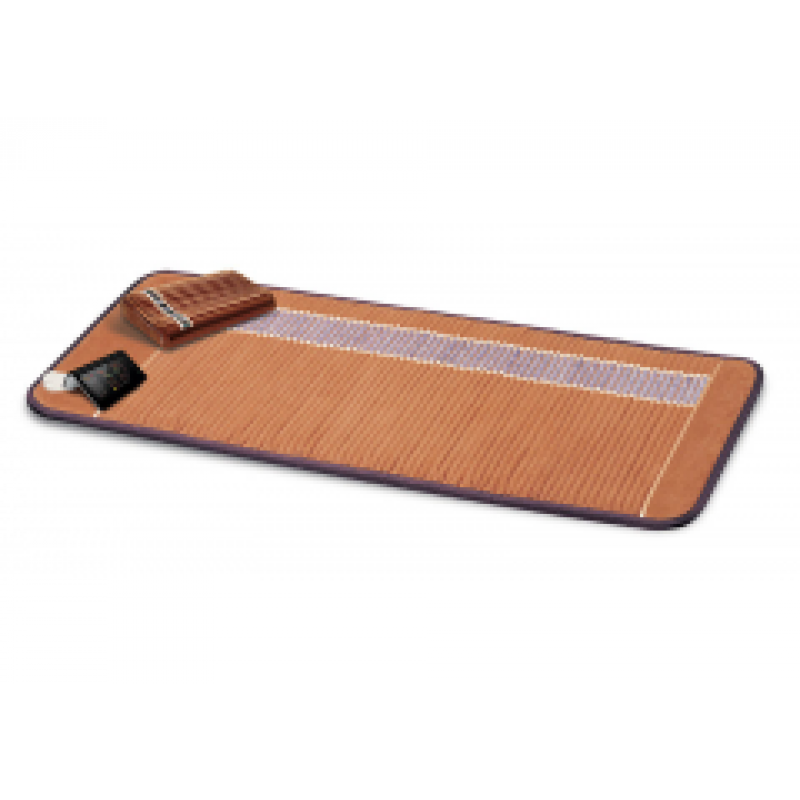 Infrared Therapy Amethyst Bio-Mat Professional and Amethyst Pillow . Offers $100 discounted for the Medically licensed. Please email the copy of your medical license to nextbits.june@gmail.com right after you submit the order. If you cannot provide the medical license, please choose the product without the discount. Please fax your license to 866-215-4570. If you are not licensed, please choose the one with regular price. Just as thousands of users have done, you will be amazed by the power of far infrared ray and negative ion from amethyst and tourmaline. The Amethyst mat comes with a control panel with variable heat settings, travel bag with wheels and a 100% cotton quilted cover. This is the Biomat for acupuncture, chiropractic specialists, dentists, fitness centers, gyms, massage therapists, Medi-SPas, pain control clinics, physical therapists, athletes, healing management, and waiting rooms. It can also be used at home on top of mattress, sofa or floor. Please email the copy of your medical license to nextbits.june@gmail.com right after you submit the order. If you cannot provide the medical license, please choose the product without the discount.